(5 minute read) Five years ago, I had the honor to deliver a valedictorian speech in front of Lakeland Jr./Sr. High School Class of 2012. Although my speech sounded a bit shy and timid (check out the speech video below), I still resonate with the message today, as American Dream is still alive and well in my heart. However, my definition of American Dream has been evolving since that speech. When I first moved to this great country seven years ago, American Dream to me was about achieving individual success. I told myself, “On this land of opportunities, you can achieve whatever you desire if you put your heart, mind, & soul, and blood, sweat, & tears into it.” However, when I immerse myself more into the American culture, I gradually realized American Dream is a whole lot bigger than individual success stories. As I reflect back on my time in the States, I discovered there is a common theme throughout my journey, from Lakeland High School, to Temple University, to the professional world. It almost felt like a déjà vu or recurring plot of movies – no matter where I go, I can experience a tremendously powerful and uplifting environment in which people truly care about others and their pursuit of happiness. This caring environment creates a virtuous cycle of helping and being helped, which I believe to be the backbone of the American Dream. From what I’ve experienced living in four countries (China, Singapore, Italy, and the U.S.), this caring mentality may come from: (1) abundance: U.S. is undoubtedly a blessed land: the Pacific & Atlantic Oceans protected U.S. from the major wars that hammered lots of European and Asian countries; America is the 3rd largest country by area – very comparable to China, yet since its population is less than a quarter of the Chinese population, the U.S. has so much more abundant resources per capita. (2) The popular belief in the Golden Rule: “Love your neighbor as yourself.” (3) Diversity and the civil rights progress the U.S. has made over the past decades. In high school, classmates and teachers would always graciously help me with English, and at the same time, I enjoyed tutoring underclassmen math and physics – my strong suit. In college, I met some incredible people who who generously gave me guidance and advice on academics and leadership development, and in turn, through serving on the officer boards of five different student organizations, I helped countless students by enriching their college careers, helping them to make new friends and find jobs/internships, etc. In my current job at Cigna, I’m amazed by how willing and happy my colleagues are to help each other succeed. As an extremely curious person, I always find joy in learning from my colleagues how their work fits into the big picture of this global company. I was never turned down when I requested information interviews, so I had the fortune to learn from amazing colleagues not only from my Philly home office, but also from Bloomfield, CT headquarter, Scranton, PA office, as well as Cigna’s Shenzhen office in China. This environment inspired and motivated me to lead by serving to help more colleagues in return. I’m now serving as the PA Regional Lead for a Colleague Resource Group (CRG) outside my day job as an actuary. Since successful restructuring in early 2017, our Asian/South Asian CRG has had double-digit membership growth quarter over quarter and became the fastest growing CRG across the enterprise. Examples like these are countless, so I’m forever grateful for those who have helped me and whom I have helped. They reshaped my understanding of the American Dream. It’s a splendid dream about achieving one’s passion, but more importantly helping and enabling the dreams of others. Very relevant to this new definition of American Dream is one of my favorite quotes by Randy Pausch, as I displayed on this site’s About page. 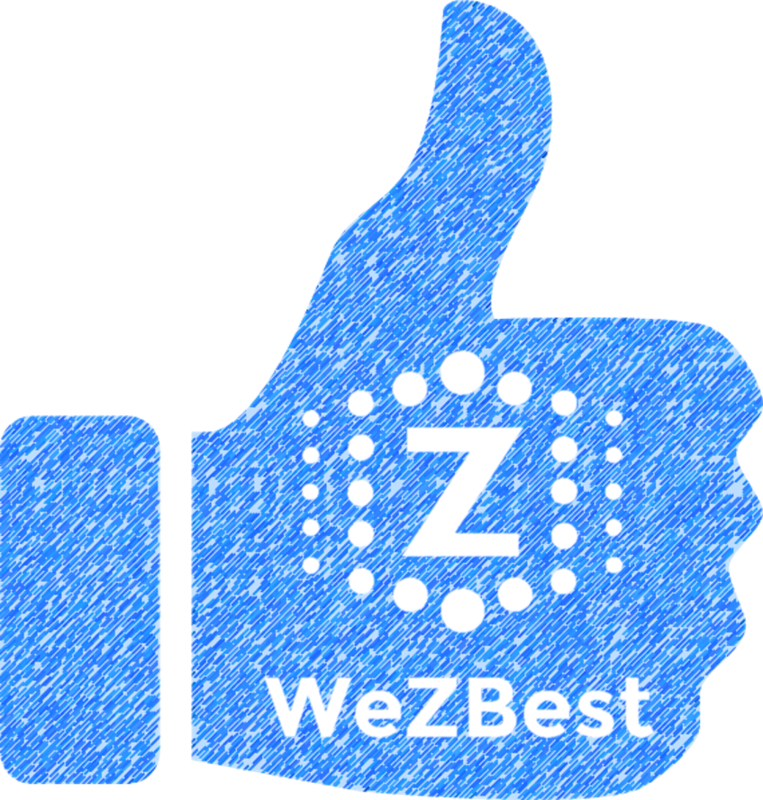 “Enabling the dreams of others” is the primary reason I started WeZbest.com. To keep American Dream alive and well, I hope you can always find some valuable takeaways from my site and help others in return. “The Class of 2012 has displayed too much kindness to be mentioned. Just look at this group —– aren’t they lovely? After tonight, we will continue our journeys of life, but for the first time in many years, we will be heading to different directions. But ‘♪Hey now, you are an all star, get your game on, go play♪.’ (2012 Class Song ‘All Star’ by Smash Mouth) That’s right, you ARE all stars now, get your game on, go play and reach new heights in life. There will be obstacles, and there will be setbacks; however, never lose your faith and always remember the years you spent in Lakeland High. Remember the efforts you’ve made before you win your first home game, remember the hours you spent before you win your mock trial or defeat your reading team opponents. Remember the rehearsals you did before you present a marvelous drama and remember the joy and satisfaction of this moment. I want to share with you one last thing: dare to dream, set your mind on your goal, pursue your passion, and your dream will come to you! Very good article! Keep living in your dream. You will be reaching as high as you can dream! Your story really inspired me. Thank you so much!